Homeowners with well-water systems enjoy affordable high-quality water. However inconsistent water pressure can be a major drawback of well systems — the more water you need, the less water pressure you have. Recent technological innovations have eliminated the need to live with bad water pressure. With constant pressure systems, homeowners are provided with constant water pressure, regardless of fluctuating demand. This gives you the performance of a city water system (where multiple users in the same house experience consistent pressure), but with high-quality private well water. 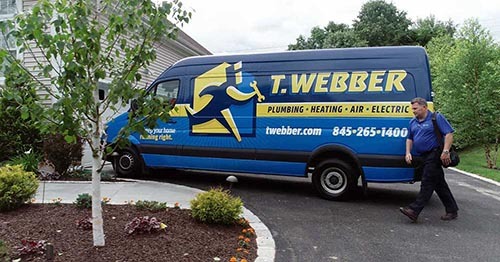 T.Webber is the Hudson Valley’s leading installer of constant pressure systems. Our technicians undergo regular training to ensure they are trained in the latest well equipment technology and methodologies. If you are struggling with low or inconsistent water pressure from your well system – call T.Webber.